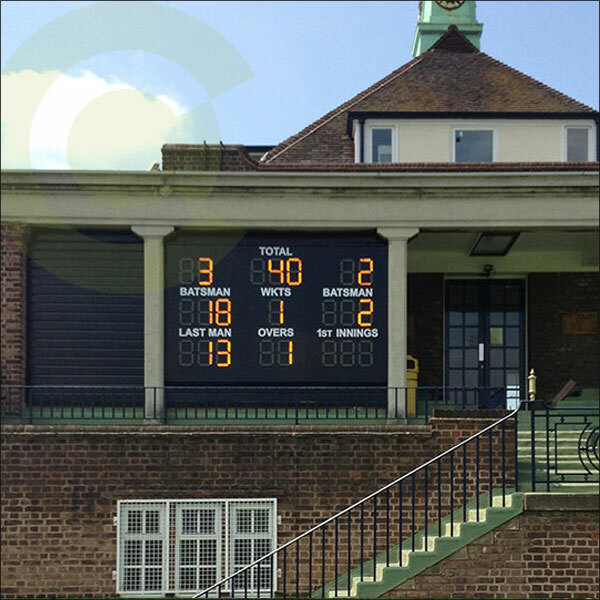 Custom Made Electronic Cricket Scoreboards & Scoreboaxes - CRA Cricket UK. We can intergrate many of our standard electronic scoreboards into cricket pavillions, club houses and scoreboaxes. Plynths and stand alone scoreboards can be made from the basis of a standard 240v mains scoreboard. By using existing scoreboard dimentions good savings can be made as well as a professional looking and easy to maintain scoring system. TOTAL Checkout price - Inc VAT & delivery. Cricket scoreboards and cricket scoreboxes for cricket match score keeping. FlGP2 over scoreboards for simple quick cricket matches. Wooden freestanding cricket scoreboards. Portable cricket scoreboards and full size wooden cricket scoreboxes. Accessories and replacement numbers. Steel anti vandal cricket scoreboards. Wall mounted score boards. Installation & custom scoreboards available by requet. CRICKET EQUIPMENT SUPPLY. CRICKET INSTALLATION & CONSTRUCTION SERVICES.